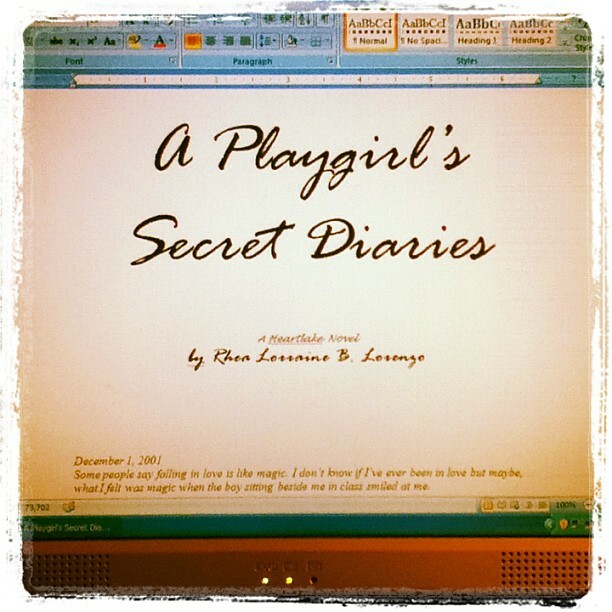 Anyway, After 73, 702 words, A Playgirl’s Secret Diaries has finally been concluded. Wish the number of words can be converted to cash, though. On a good note, this practically means I’m less than five chapters away from the ending of A Playgirl’s Secret Diaries! Anyway, let me focus on dates for this last set. 1. I started writing this story on July 31, 2011. I have it posted here on my blog. As some of my earliest readers probably know, it was originally titled ‘Hellos and Goodbyes’ and then I changed my mind.